The cyber:bot robot adds a tangible hardware dimension to Python-focused computer science and CTE programs. 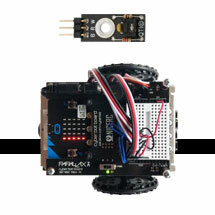 It merges a micro:bit module with the Parallax small robot form factor that's a proven STEM success in classrooms from middle school into college. Check out the cyber:bot product line on Parallax.com! This tutorial series is new and dynamic, with new content being released as it is developed. 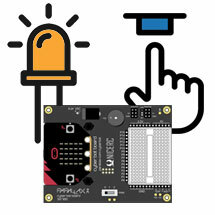 Check back often for updates and new tutorials. This series has been divided into two consecutive sections (described below) to guide you linearly through the tutorials whether you're in the classroom, or DIY-learning at home. 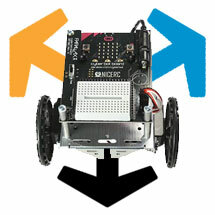 We strongly recommend you follow these tutorials in order unless you're an experienced roboticist who is familiar with both Python and the Parallax small robot design. 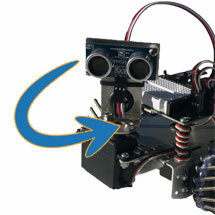 Prerequisites - If you're new to this robot, start here. 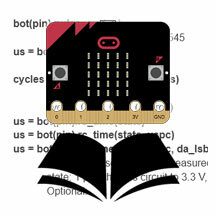 This section will help you choose and set up your programming software, prepare your micro:bit, and add your cyberbot library modules. 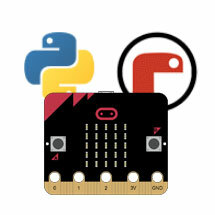 It will also take you through the basics of Python programming before you jump into the robotics aspect. 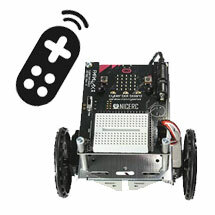 Main Lesson(s) - This tutorial, or sequence of tutorials, takes you from start to finish through your robotics kit. 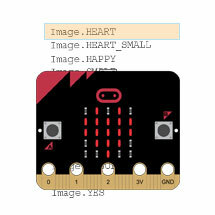 You will progress through mechanical assembly and programming basics, to autonomous navigation using DIY sensor circuits you will build with the electronicis components provided in your kit. 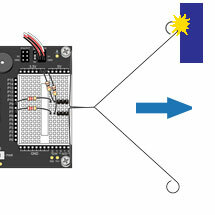 No additional hardware is required to complete the main lesson(s). Projects - Once you have completed the main lesson(s), or if you are simply looking for new ideas and activities, give these projects a try! 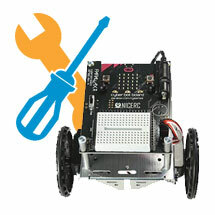 Most will require one or more additional hardware components not included in the main robot kit. These items are usually available through our ecommerce website www.Parallax.com or as parts of class packs. Check the parts list for each project for details on what you’ll need.